Rob Gerhardt: "Muslim American/American Muslim"
Don't miss Rob Gerhardt's traveling photography exhibit, "Muslim American / American Muslim," on display now at Mercer Art Gallery (801 N. Campus Dr.) at Garden City Community College. He will be hosting a talk this Thursday, Sept. 21st at 7:30 pm CST at the Pauline Joyce Fine Arts Auditorium (801 N. Campus Dr.). 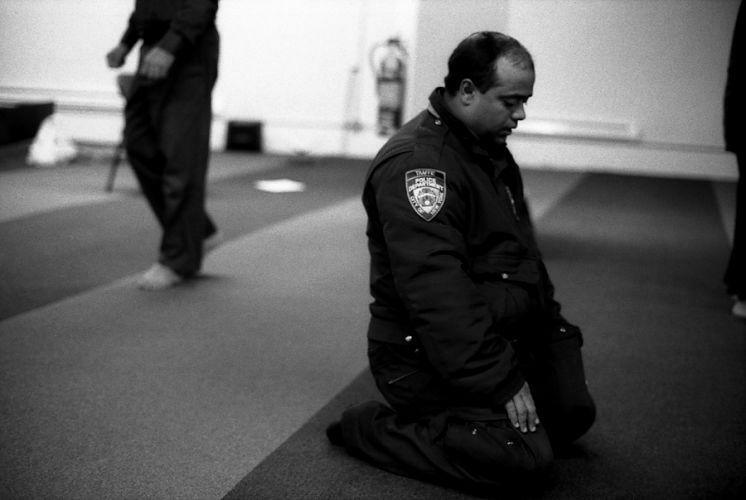 This exhibit features a collection of photos of average Muslim-Americans, often in their place of worship. These stunning black-and-white images simply show people being people, ideally communicating how alike we all are, as humans and Americans. The Mercer Art Gallery is open from 8a - 4p every weekday, and 10a-2p on Saturdays. The show is up through Wednesday, Sept. 27th. There is a second talk, specifically for GCCC faculty, staff, and students, on Friday, Sept. 22nd at 10am. ***Those unable to make the Thursday night event are welcome to attend on Friday; please just contact Brian at 620 640 7953.